Weddings & Special Occasions at The Metropole Hotel01597 825890work BanquetThe Metropole is your ideal location within Mid Wales to enjoy your wedding celebrations. Our professional team will enable you to plan and enjoy your special day with the minimum of fuss. Whether you are planning a large celebration or smaller more intimate gathering of family and friends we will have a room that will be ideal for your guests needs accompanied by delicious food chosen by you from a wide selection of menus designed by our award winning head chef, Nick Edwards. During every year we host wedding receptions following church or registry office marriages. We also have 4 licensed rooms for civil marriages in the hotel. The Metropole is your ideal location within Mid Wales to enjoy your wedding celebrations. Our professional team will enable you to plan and enjoy your special day with the minimum of fuss. From your initial enquiry with our sales office to final arrangements for your special day we will guide you through the whole event. Tailor-made wedding packages are available to include wedding breakfasts and evening parties with preferential rates for overnight guests. Our packages include a "Master of Ceremonies" for the special day and a complimentary "Day Escape" spa package for our bride and groom. 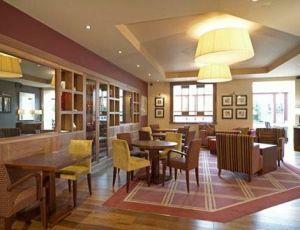 Located in the centre of Llandrindod Wells The Metropole Hotel is easily accesible by Road. The A483 passes in front of the hotel. Our large car park is situated to the rear of the hotel. Llandrindod Wells train station is a short walk from the hotel and is linked by the Heart of Wales line to Swansea and Shrewsbury. Trains run about four times a day.